Innovative in style, its humour by turns punchy and tender, Oranges Are Not The Only Fruit is a few days ride into the bizarre outpost of religious excess and human obsession. It’s a love story too. 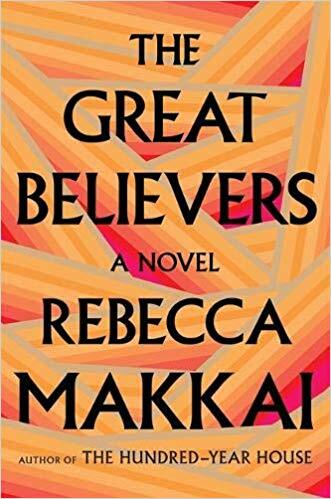 Part memoir, part fiction, this short novel depicts the adolescence of a bright, vivacious orphan girl adopted into a strict Pentecostal family and her journey to understanding and accepting her sexuality. Reading this as part of the Feminist Orchestra Bookclub’s selected book for the months of July and August, I was aware that this book would likely touch upon the themes of gender, sexuality and/or feminism. I was right; these are central to Winterson’s writing in Oranges Are Not The Only Fruit, as is the theme of religion and how restrictive it can be to an adolescent’s understanding of the world as they grow up. This was a challenging read for me; I really enjoyed parts of it, finding Winterson’s writing to be both beautiful and honest, but there were also other passages in which I felt like I struggled to understand the author’s intended message. Winterson often accompanied passages of the memoir with fairytale, which were meant to be representative of the point in the character’s journey to understanding her identity; while I know some people will love this, for me, it disrupted the flow of the narrative and I found I enjoyed her account of her adolescence much more. What I don’t doubt is Winterson’s writing ability; she has a stunning way with words and I will definitely try reading something else by her, for it was not so much her writing that I struggled with, but the book itself, and I would really like to give her another chance before I make up my mind about her. I have The Stone Gods sat on my shelves, so I plan to give that a go next. For such a short book, there really is a lot to unpack in Oranges Are Not The Only Fruit, and I feel that I’ll be digesting this one for quite some time. If you would like to know more about the Feminist Orchestra Bookclub, here’s their discussion page on Goodreads: https://www.goodreads.com/group/show/182685-the-feminist-orchestra-bookclub, I can definitely recommend it!